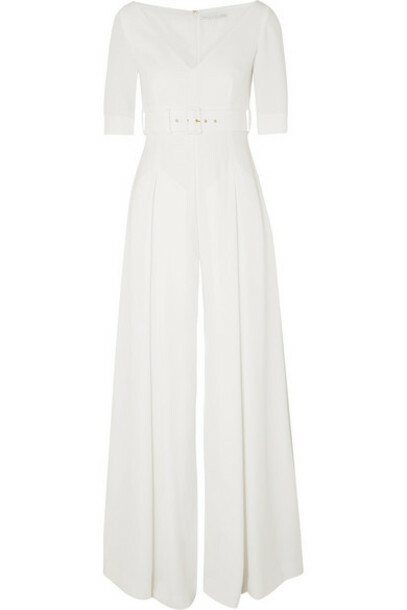 Emilia Wickstead's belted jumpsuit is an elegant choice for brides on their big day who don't want to feel restricted as they dance the night away at the reception. Made from mid-weight cloqué in a floor-sweeping length, it has a fitted bodice before flaring out in a wide-leg silhouette that's pleated at the thigh to create the movement of a dress with each step. The V-neckline beautifully frames your collarbone, shoulders and a diamond necklace.